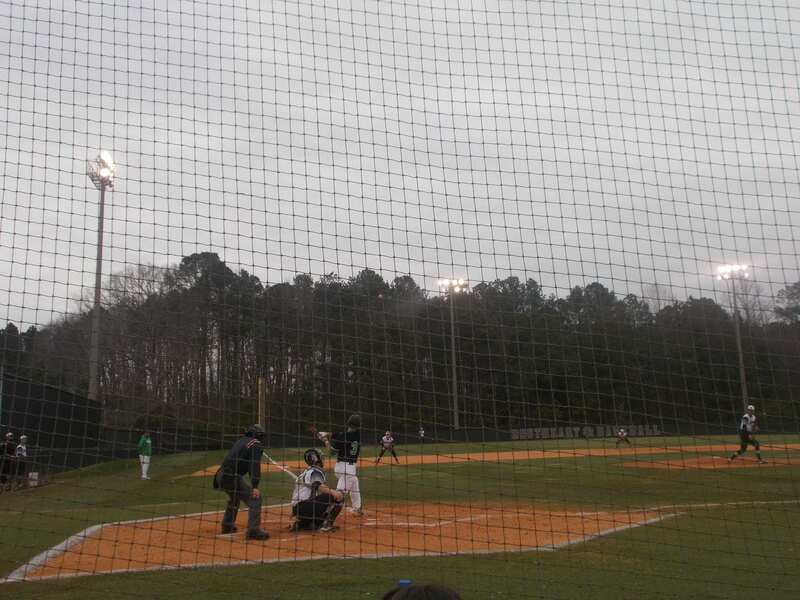 It was a chilly afternoon at the ball park yesterday as the PHS Dragons varsity baseball team hosted the Southeast Whitfield Raiders in a 6-AAAA opening series. On Tuesday, the Dragons won game one 6-3 at Southeast Whitfield, & looked to take the series by winning game two of the three game set at home. College of Charleston signee Caswell Smith took the mound & threw well against the Raiders. Smith needed 11 pitches to get out of the top of the 1st, & send the Dragons bats to work. Coastal Carolina commit Brady Moore got things going with a leadoff double, & Smith helped himself out by launching a 2-run shot over left-center. Tyler Vreeland then singled, & Will Lawrence would bring in Jarod Whitmore, who courtesy ran for Vreeland. Going to the 2nd, Pickens led 3-0. Smith found himself in a little jam in the top of the 2nd, but was able to get out of it with no damage done. Pickens plated a run in the bottom of the frame, as Colby James drove Jacob Kirchoff in on a fielder’s choice to make it 4-0 Dragons going to the 3rd. Smith collected his 1st strikeout of the game in the top of the 3rd as he again got out a potential jam. 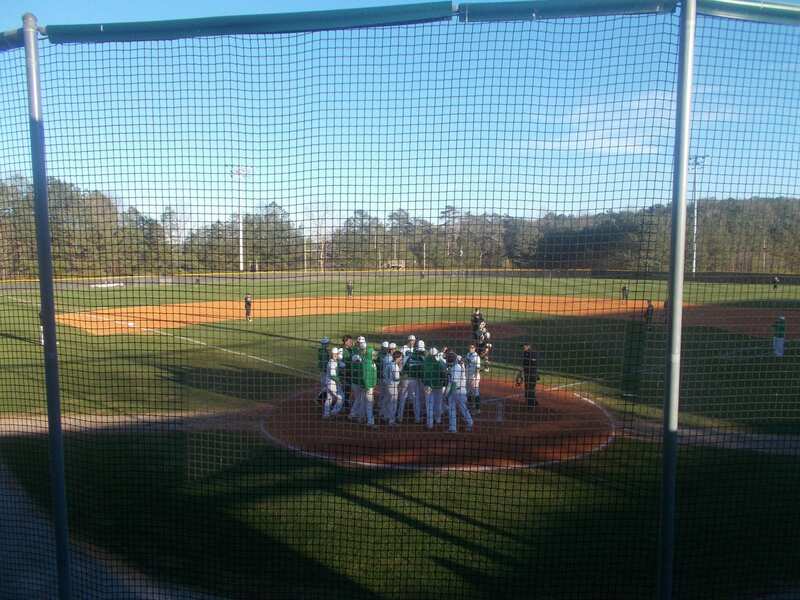 Pickens had a two out rally in the bottom of the 3rd as Hunter White got on with a single, Kirchoff walked, Moore drove in White with a single, & Kirchoff & Moore came into score on passed balls to make it 7-0 Dragons going to the 4th. The Raiders, plated their only 2 runs of the game in the top of the 6th, as the Dragons were able to hold on & get the win, 7-2, & take a 2-0 series lead. With the win, Pickens has taken the series from the Raiders in this three game set. The third & final game of the series will be later this afternoon at Southeast Whitfield. First pitch is set for 5:30 pm. 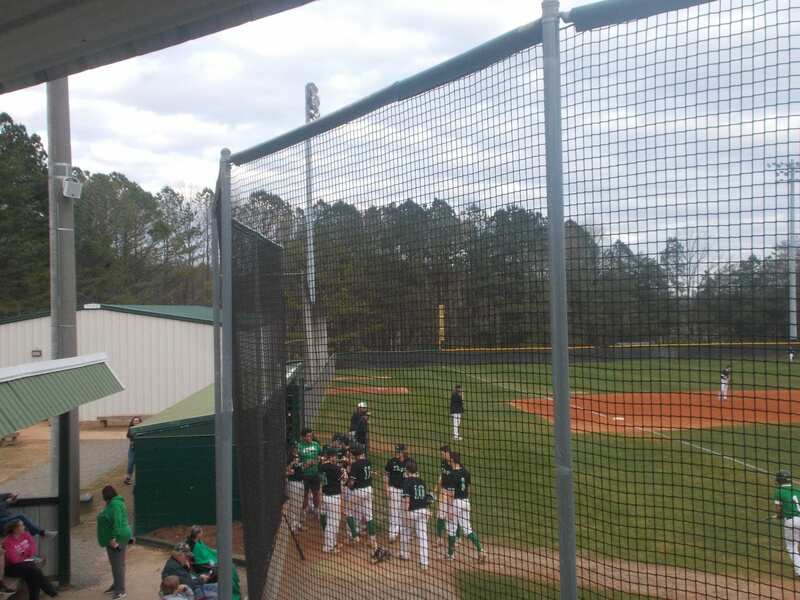 Yesterday afternoon, the PHS Dragons varsity baseball team was right back at it at home hosting the Denmark Danes in what was the final game before the start of region play. Pickens, came into the game at 5-3 & looking to avenge one of those losses by splitting with the Danes. Junior Colby James got the call to start for the Dragons. In the top of the 1st, James sat down the Danes in order on 13 pitches. In the bottom of the inning, recent Coastal Carolina commit led the frame off with a double, & would come into score after a sacrifice fly by James to give the Dragons a 1-0 lead going to the 2nd. The Danes, were able to tie things up in the top of the 2nd after plating their first run. The Dragons, answered with more runs of their own after a 2-run single by Tyler Vreeland brought in Hunter White & Jacob Kirchoff. Going to the 3rd, Pickens led Denmark, 3-1. Denmark, took the lead in the top of the 3rd with 5 runs, & added to it in the top of the 4th with 7 runs scored to make it 13-3. Caswell Smith hit a solo homerun for the Dragons in the bottom of the 4th to make it 13-4. The Danes, plated a run in the top of the 5th to make it 14-4. Denmark was able to come away with this one, 14-4. 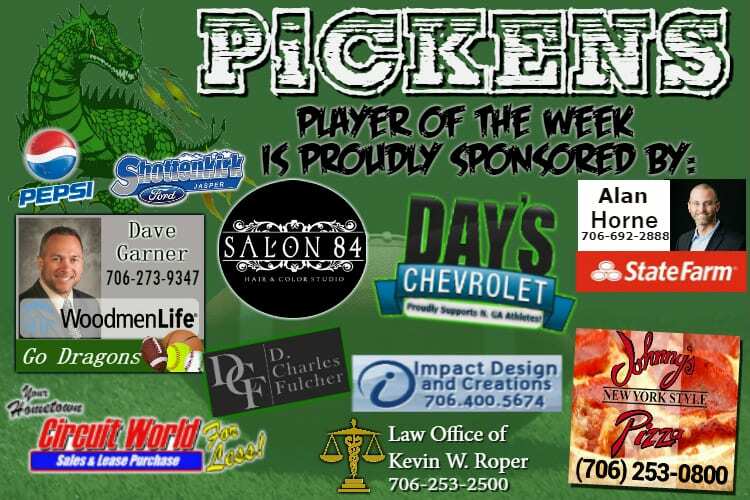 Pickens, will start region play next week as they’ll begin a 3-game series with the Southeast Whitfield Raiders. Game 1, will be at Southeast Whitfield on Tuesday with a first pitch time of 5:30. After the Nettes picked up a big win earlier, the Dragons looked to complete the varsity sweep over a Southeast Whitfield Raider team that recently took down reigning 6-AAAA region champs Lafayette not too long ago. In the 1st, both teams found scoring, mainly inside the paint. After one, the Southeast Whitfield Raiders led the Dragons 21-17. In the 2nd, the Raiders started getting the tree ball to go down, but Pickens stayed within striking distance. Going into the half, Southeast Whitfield held a 44-34 lead. The 3rd quarter scoring again was close as the two teams went back and forth. 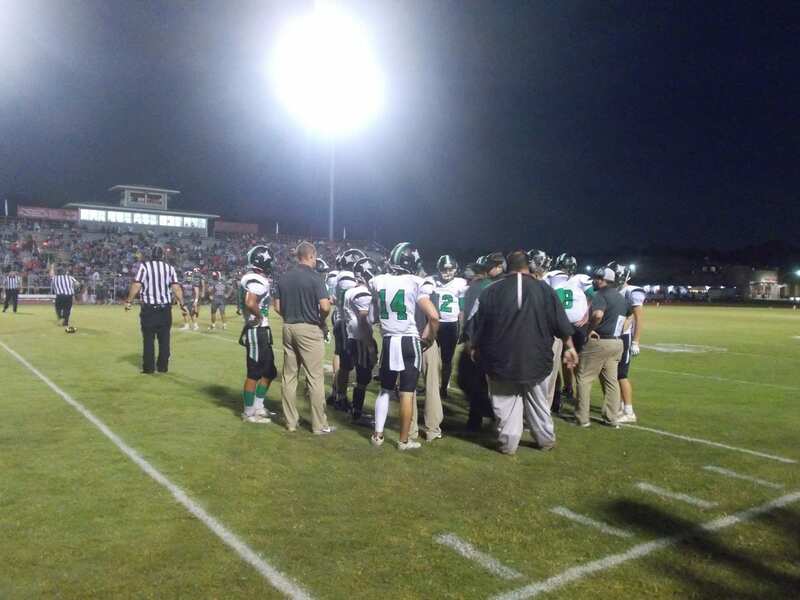 The Raiders, outscored Pickens 18-15, & held a 62-49 lead going to the 4th. Southeast Whitfield used a 14-6 4th quarter run, to take this one from the Dragons, 76-55. 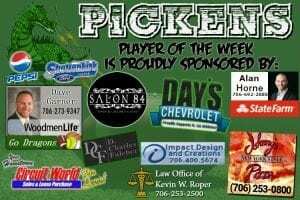 Pickens, will be back home on Thursday as they host the Lions of Christian Heritage in non-region action. Tip off scheduled for 7:30 pm. 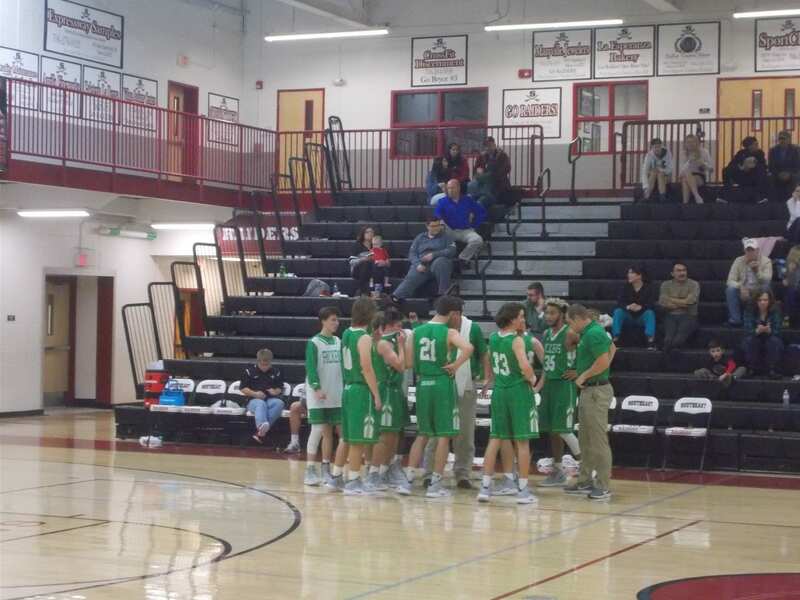 The PHS Dragons varsity basketball team played a big game last night in Dalton as they took on the Raiders of Southeast Whitfield. 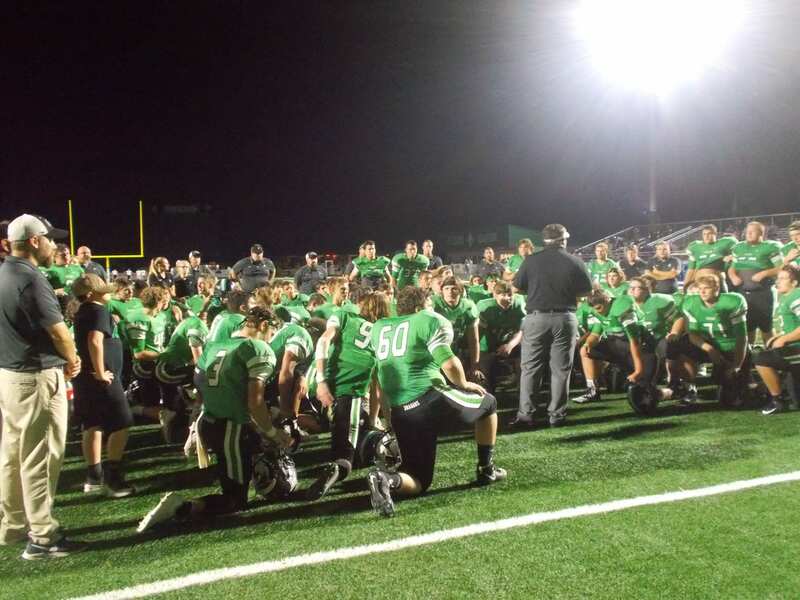 With a win, and a little help, Pickens would end the night in a three-way tie for 5th in the region. In the 1st, the Raiders got off to a quick 4-0 start, but the remainder of the frame was tightly contested. Heading to the 2nd, Southeast Whitfield held a 16-10 lead over the Dragons. 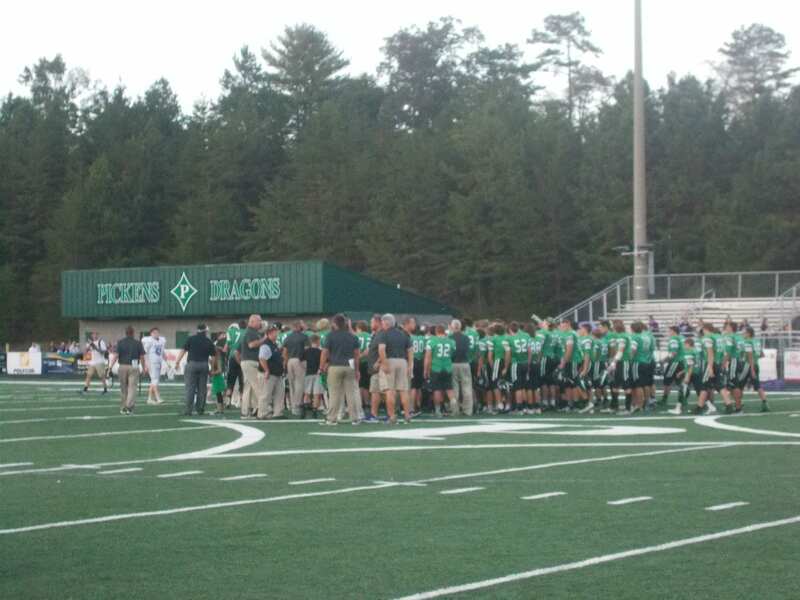 The 2nd quarter, would be a tough one for Pickens as nothing would seem to fall. 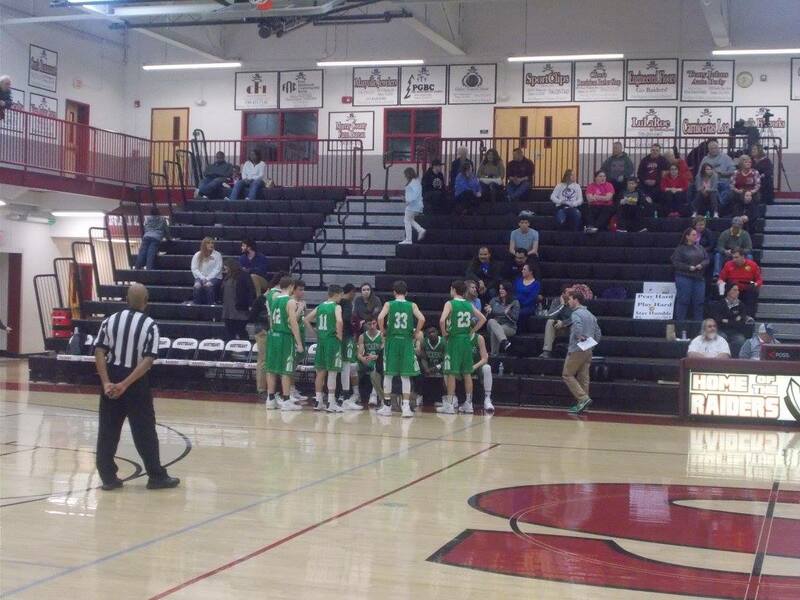 The Raiders, outscored the Dragons 18-9 in the 2nd to take 34-19 lead into the half. In the 3rd, Pickens started the comeback ever so slightly. The Dragons, outscored Southeast Whitfield 18-17, to cut the Raider lead to 51-37, going to the 4th. Pickens, started the 4th out hot. Cutting the Southeast Whitfield lead down in half and even further. Despite outscoring the Raiders 23-18 in the 4th, & 41-35 in the 2nd half, Southeast Whitfield was able to hold on and get the win, 69-60. 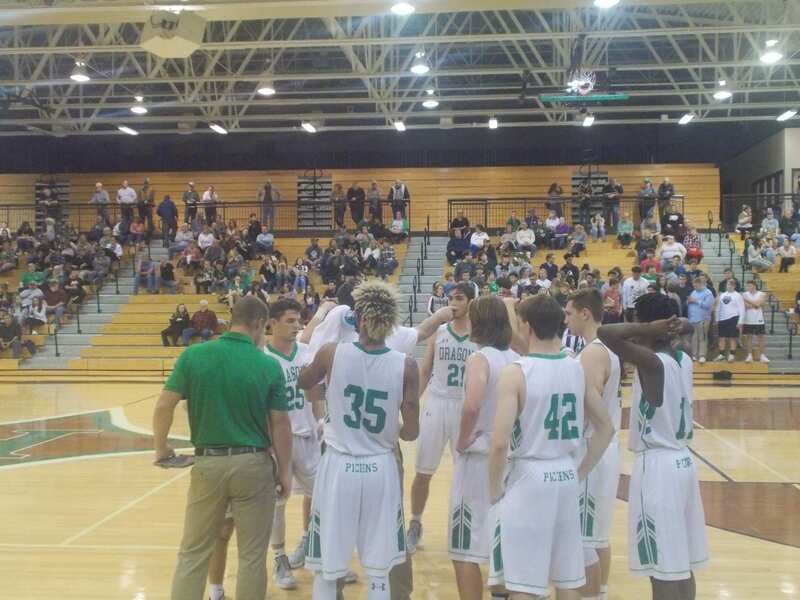 Pickens, will have one final game before the 6-AAAA Region Tournament next week as they will welcome the River Ridge Knights out of the 6-A classification to the Dragons Den on Friday. Tip off is scheduled for 7:30 pm.